What I THINK I know for sure. . .
For some, it’s flattering when they’re asked to do a guest post on a blog. I’ll admit for me it’s a little intimidating. Okay a lot. So when Melina asked me would I post something on The Chicklit chapter’s blog my first reaction was to do my usual and break out in a cold sweat thing. I know I should not have been scared. I have been a member of the Chicklit chapter since its inception way back when so I know I’m amongst friends here who won’t scoff at me when I speak plainly in my beloved 1st person narrative and roll my eyes in certain spots. You can insert your own eye rolls wherever you like. Now, for some who know me from twitter or my own blog which I’ve had for years or from The Loft, the Macmillan twitter and FB pages which I moderate that may be surprising. I know you’re thinking, “How can this be? She never shuts up.” Oh, stop. But it’s different when you’re asked to be a guest and speak at someone else’s place. Being a guest poster brings with it a certain amount of expertise, and really what am I an expert at besides giving my opinion? I’m a writer who’s been writing and rewriting, agented and re-agented for over ten years and am about as close to being published as I was when I first started out all those years ago. Okay, maybe this (cut to me two fingers an inch apart) much closer. Are you still with me or are you on your toolbar Googling Jenny Crusie’s blog. No? All right, I’ll continue with this rambling. But before you all go and say ‘Kwana says you don’t need blogs or social media’ let me add there is a plus to social networking and that goes into the story of how I found my agent, well both my agents really. They came through some form of social networking. It has been noted that fewer and fewer writers are being found from the slush piles. The statics are staggering. Enough to make you a weak or maybe a sane person would shut down her laptop for good. But if you do your part with research on blogs and with organizations like RWA and yes, on twitter, connections can be made though friends and your name can get out there. And in this business, like most businesses, you need folks to know your name. Which leads me to topic #2: I met my current agent the fabulous Fury (I’m not kidding that’s her name Louise Fury of the L. Perkins Agency) by sitting in a chapter meeting and then becoming friends through attending monthly Lady Jane’s Salon romance reading events. We got on well. But all that didn’t mean a thing until she read my work and decided to take me on. The work is always key. Now this is a nice segue into topic #3: Balancing writing life with family, day jobs, etc. Well my family is my day job and night job too. Any mother knows a family has a way of sucking up most brain matter 24/7. And now I have a freelance job on top of that, working the pages for The Loft where I have the fun job of being a social media coordinator talking woman’s fiction and romance. I like to think of myself as a book talk party starter. But where does this leave time for writing? It’s frustrating, really. I’m not a fast writer. In my dreams, I’m a 2500 word a day wonder who can crank out 3 books a year and still have time for the gym, full make-up, the PTA and a little something for the hubby. That ain’t my reality. I’m a steal moments when I can writer who has more ideas than she can count and wishes like crazy to be able to slow down the hours between 9 and 2 because really they just go way too fast. But what can I do that is my reality. The time in my house goes at the pace it goes so I just have to deal and precious writing moments when I can because they are precious and must be treated that way. Like I said above the work is the key and without the work no amount of networking is going to sell a blank page. So I will continue to write the words, be it 500 or 2500, because in the end they all add up. And now to end this rambling diatribe (because really this post is way too long) I will know like any good Chicklit heroine that though my journey may not look as well mapped out or scenic as others if I keep moving forward I will make it to my destination. Part of arriving at our destination is to enjoy the journey. They say the view is the same at the top! I know it is like climbing a huge mountain, your writing and balancing a life, but I also know that you are passionate about books, words, writers and what others have to say. Stay the course and I truly wish you a sweet arrival as your mind spews out the words to fill pages and adds up to a book for you…very soon! Wonderful post Kwana!! Yes the Life-Write balance is an ongoing challenge. But I think it’s one that we (writers) meet head on daily. Keep moving! Keep Writing!! Kwana – Those hours between 9-2. I know them well and battle them often! Three cheers for us ten year folks. I truly believe it will pay off! So nice to see you here on the CLWOTW blog! This year, I quit doing make-up for anything but date night. It only took five-ten minutes, but reclaiming that time for writing makes me feel BOLD and IN CHARGE! I hope this is your year–and mine, too. Thanks so much for all the sweet comments, Chris, Jeanine,Dren and Patricia. I love being here with the lovely chicklitters! Must get some writing in on this back to work Monday. Just popping in to wave hello! I’m in awe that you’re able to get as much writing done as you do. Especially being in the midst of senior year times two! Kwana, great post. I too love the blogging and the tweeting and I even like the FBing. I don’t believe it will get me published. Once that fine day comes I don’t believe it will up my readership, either. What is has done for me is keep me informed on the business, research agents I find a connection with and hopefully love my work, and the best part is I’ve met a great group of fellow writers out here on the interwebz. Dear Kwana, to say I am so proud and amazed is an understatement. You are making your dreams come true, come what obstacles you may hurdle! Enjoy and savor your ceations. Kwana! One of my favorite people. 🙂 What a great post. Wow, you packed a lot into this column, Kwana! The topic which sticks out most to me is networking. Many years ago, when I first began my nearly 30 years of librarianship, I made a conscious decision that to get more out of my work I needed to ‘network’. Of course, in 1976, ‘networking’ was in no way electronic — it was mainly getting over my natural shyness and speaking with people. Plus serving on committees, trying to make myself useful in the state library association, and (naturally) attending the social events of the annual library conference. For some of you, possibly, social events would be “fun”. But for me, they were closer to hard labor. But I did it. And that networking paid off in many opportunities of various kinds … including publishing articles, book reviews, and even two co-authored books. Non-fiction. So, just about a year ago, I made the conscious decision to begin ‘networking’ in this publishing realm [specifically, the wide world of RWA … since I was writing romantic comedies]. Contests weren’t doing anything for me excepting draining my resources, sucking away my time and labor, and — after lengthy waits — dashing my hopes. But networking — especially in the Chick Lit Chapter — has paid large dividends. Most of the folks I’ve ‘met’ here have been gracious and friendly. I’m realistically hopeful that some of these opportunities will pan out into a contract at some point. I agree w/you on Social Networking. Sometimes I think it’s a generational thing. I went out to dinner w/my friends and their 11 y.o. the other nite, and he spent the whole time on his iphone and they never said that maybe he should join the conversation. our books and what is the best way to do that? Oh, if it was easy, everyone would be doing it. But wait, everyone is. Didn’t Snooki from The Jersey Shore reality show fame pen a book and wasn’t it a NY Times Bestseller? That just makes me wanna puke! With Borders reporting huge losses, we really do need to find new ways to promote and sell our books. Let’s stick together. That’s always the best way! 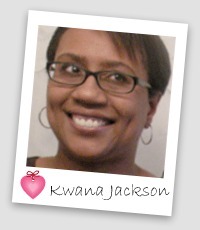 Thanks for the candid “peek behind the writer’s curtains,” Kwana! It helps to read something that gives me the opportunity to say, “Ah! So I’m not the only one,” a few times! Much appreciated. Keep at it. It’s not easy getting the creative juices flowing for a blog let alone write a book….I don’t know how you do it….but I’m glad you do. I enjoy getting to know you through the many social media’s and hope to read your book some time soon. You are all so wonderful. Thanks for the comments and for coming to this social place. It is a new world and hard to navigate. I say dip your toe in where you can and do what’s enjoyable for you. I do have to say the best think out of blogging and twitter for me are the relationships like these and for them I’m grateful. That said, hit me up on twitter @kwanawrites LOL! Hey kwana. great post. finding writing time is my biggest struggle right now. my full-time job entails sitting a computer all day writing. Finding the energy & motivation to then sit some more in front a computer and write is difficult. Since work has been super crazy for months now, the day job is sorta sapping all my creative energy right now. At least there’s some comfort in knowing everyone has the same fight. Thanks Anna and Kristin there is comfort in knowing that yes, we are all in this together as writers and you are by no means alone. Just wanted to say GREAT POST to you, Kwana, and to wave to Melina, as well ;). Ahh, those hours from 9 – 2…sigh. They go by way too fast. Thanks so much for sharing your reflections. Wishing you only wonderful things ahead! Luv your post, Kwana, and I must say I luv “following” you all over cyber-space. That’s how I “met” you to begin with. And to that end, I may be the only one here saying this – but I’ve got the numbers to prove it over at my WG2E site http://thewritersguidetoepublishing.com … Facebook and Twitter and all the other social networks DO lead to big-time sales, at least for Indie Epub Authors like me!!! So no, you may not care about what your high school frenemy had for lunch, but damnit if she or he’s not gonna see you on Facebook and buy your book, even if she won’t admit it to you at your next reunion! LOL!!! Because…being an author is cool…and they can say “hey, I know that author, you should read his or her books” to one of the other people you didn’t like in high school, because that makes the first frenemy I referred to in-the-know for the second one. LOL!!! The secret to social networking is to yes, “friend” the authors and other writers you like in order to learn the business and craft end, but I agree, those aren’t always your best readers. For readers, you MUST “friend” all those people talking about what they ate for lunch! I mean it…it works!!! Afterwards, the optometrist will tell you if you need to wear helpful lenses or eyeglasses to keep carefully the difficulty under control. made available from the consumer.